Our Connecticut based client has the deepest possible knowledge of the global economy and is focused on understanding how the world works. Their history in global financial markets, and the ability to translate that knowledge into outstanding portfolios and strategic partnerships with institutional clients has built a distinct track record of success. Sorry, NO remote work offered. Design, develop, and launch modern, engaging and interactive eLearning courses for corporate employees in support of our organizational culture, management excellence, software adoption and talent management goals. Partner effectively with internal clients, subject matter experts, training team members, media development resources and LMS administrators. Act as a consultant to clients, content SMEs and other team members in earlier stages of the project pipeline to collaboratively scope out training project needs, help shape early-stage training content (e.g. scripts, video recordings, interviews, software demos, etc.) and storyboard learning designs to ensure that content generated for eLearning will be compatible with design standards and will contribute to the excellence of the final product. Maintain and update, as needed, training content developed in partnership with stakeholders of the current organizational design, as well as existing legacy training content (Camtasia tutorials, quick-start-guide PDFs, feature & FAQ documentation) until these legacy methodologies are replaced by or merged into newer formats. Contribute to the creation, documentation, and maintenance of company eLearning design standards, best practices and processes that can be used as a template and resource for team members and other instructional design initiatives across the organization. 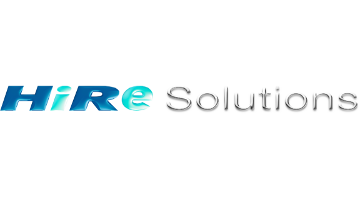 HiRe Solutions is an established contingency recruiting firm with 20+ years of experience in identifying and placing superior talent for clients. We are a Certified Women-Owned and Small Business Entity. Our success is due to our high-touch approach. We work with some of the largest and most successful global firms in the world. We also work with startups helping them find the talent that will move the needle to IPO or acquisition. We understand that recruiting impacts all aspects of a successful organization. We make sure we fully understand your requirements. We provide a proven successful history, technology infrastructure, and a national presence to deliver at the appropriate service level. We will bring you the best talent using advanced technology, while remaining flexible and constantly evolving. The value we bring to our clients is the human factor; the human touch and the reasoning that a recruiting software cannot bring alone. We create a consistent and positive experience for our candidates, (prospective employees), hiring managers and the entire recruiting organization from the beginning to the end. Our mission is to recruit ethically, honestly and respectfully. Our 20+ years of IT recruiting have allowed us to work with some of the most advanced firms in the world. What an honor!